Improve the look of your home and make it more energy efficient with professional window replacement. We want you to be proud of your home, and with our many options, we can provide you with something you will love. View our gallery to see for yourself why All American Door Inc. is the smart choice for doors and windows in Fullerton, CA. All American Door, Inc., a family-owned and operated business, has been proudly serving the Orange County, CA area for over 20 years. We take pride in offering Fullerton the best replacement windows and doors for residential and commercial use in Fullerton, CA. With our superior customer service, we will strive to help you create the beautiful home environment you deserve. At All American Door, Inc., our professional staff will guide you through every step of your project. Our team is experienced and expertly trained to give you product focused advice and service. Our installation team has specialized training with all our brands. They understand our products and will provide a timely and precision installation. Call us for a free, in-home estimate at (800) 238-9814. Come visit us at 642 W Commonwealth Ave Ste B Fullerton, CA 92832. Our hours are Mon – Fri 9:00am – 5:00pm. We invite you to stop in and peruse our great selection of replacement windows, and doors. We would be delighted to meet you and show you why we are A+ rated with the Better Business Bureau and why customers throughout the Orange County area choose All American Doors, Inc.
A great job. Reasonably priced, on time, excellent work. We would highly recommend them for any door installation. We will definitely use them again when we do other door projects. Steve S. Garden Grove, CA. Quality job all around. On time, quality installation. Friendly service. No need to look elsewhere for your new door installation. Very professional job at reasonable price! We just had our wrought iron door installed by them. On time, organized, and they even clean up after with their own swiffer sweeper too ? Thank you! I am a legitimate customer that lives in Anaheim Hills. I rarely fill out reviews but in this case I had to! Greg and his team at All American Door were terrific. I am a meticulous person and the installation was simply stated, perfect. Communication was constant and courteous. The door and installation price was extremely competitive. All in all I will be recommending and using their services again! We have teamed up with top manufacturer Milgard Windows & Doors to bring you a selection of windows and doors unsurpassed in quality. This industry-leading company have led the way in product development and innovation. They have established state-of-the-art manufacturing practices to assure they build superior products using environmentally friendly processes. Whether you are in the market for wood, vinyl, fiberglass or wood replacement windows, we are sure to have a style that suits your needs. 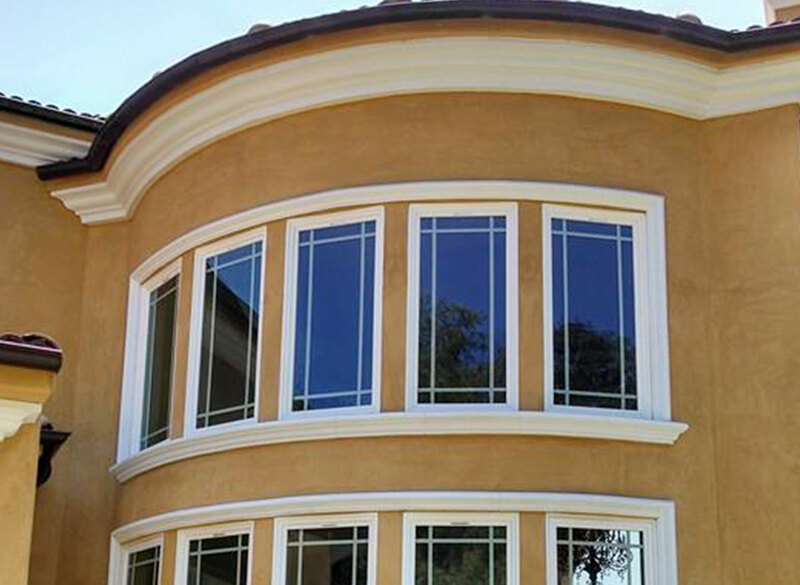 Milgard is one of the largest and most trusted names in home replacement windows and doors. Their windows and patio doors are designed and assembled in the U.S.A. and built to last. They help their dealers offer a local, personalized experience to make the window purchase experience easy. They believe that the better they know their customers, the better customer service they can offer. This means faster lead and delivery times and quick responses to any window and door warranty situations. They ensure their dealers have multiple resources to help you actually visualize your design ideas. All Milgard windows and doors are covered under a full lifetime warranty so you can feel confident in your investment for as long as you own your home. All American Door, Inc. proudly serves the following cities: Laguna Hills, Fullerton, Anaheim, Placentia, La Habra, Buena Park, Laguna Woods, Lake Forest, Aliso Viejo, Irvine, Rancho Santa Margarita, Coto de Caza, and surrounding Orange County areas.